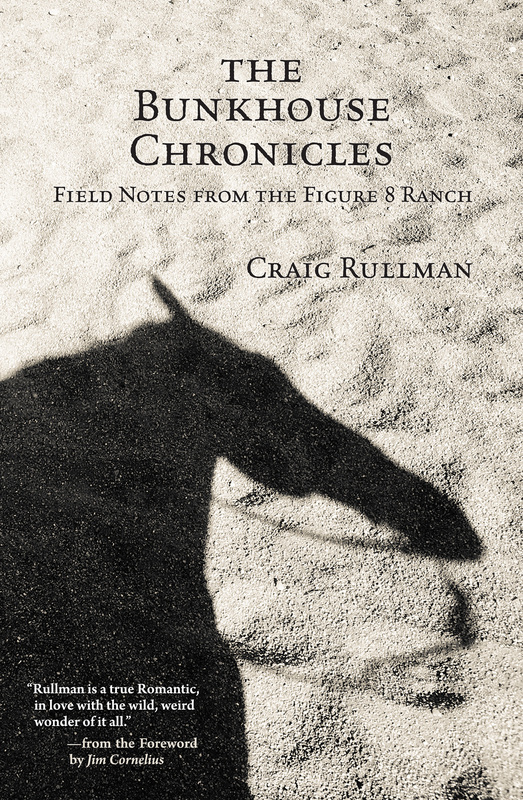 A quick word this morning to announce that my first book, The Bunkhouse Chronicles: Field Notes from the Figure 8 Ranch, is now available. You can buy it at Smoke Creek Press, order it from your local bookseller, or on Amazon. I hope you will give it a read. This book has been a long time coming, and is not great literature, but it is a start. As in most things, writing is a process of very hard work accompanied by occasional successes, and frequent failures. I am now at work on the second book, which will be better than the first, and an attempt to zero in the northwestern Great Basin — the geology and geography, the people, and the culture, and how those things have been transformed since Frederick Jackson Turner declared the frontier closed in 1893. What does it look like now, that closed frontier? This enormous expanse of country has undergone a rapid evolution, primarily in the last twenty years, and the effects are startling for anyone who saw what it was not so very long ago. What interests me most is that successive waves of emigration largely passed over these areas, bound for the fertile valleys of Oregon and California, and so the more isolated communities along the northeastern portions of California, and northwest Nevada, mostly remained that way. That is, until relatively recently, when population and cultural pressures have driven folks back over the Sierra‐Cascades like a rebounding wave. So what do these places look like now, over a hundred years later, as development consumes the land, economic underpinnings have been stripped away, and the people have had to make some very difficult and controversial choices to sustain their communities? That will be the work I’m engaged in for the foreseeable future, and I am very excited about the challenge and the potential. I was reflecting the other night that, other than chase cows on the desert, play shortstop for the Yankees, and do some decent shooting, I’ve only ever wanted to write. I published my first piece when I was five. That’s a grandiose vision, and meant to be funny, but it’s also true — although it wasn’t really “writing.” It was a picture I drew — an alligator sliding into a swamp — which even after all these years isn’t really that bad for a first effort. I’m still drawing alligators sliding into swamps, it seems, and we are fortunate these days to be able to share our thoughts and visions broadly, and hope they land on an audience. I’ll be back next week with an actual piece. Turns out I am haunted by prisons, and that will be the effort I offer up for you. Thanks for being at this campfire. We appreciate the company. I will be waiting with anticipation for the Great Basin book. Thank you sir, I will try not to disappoint. I am looking forward to reading the chronicles in print! Congratulations Craig! That is a major accomplishment. We haven’t met, but I’ve heard a lot about you from Jim, and I follow you in The Nugget every week. We frequently disagree on the political stuff — but from the start, I’ve always enjoyed your ranch focused work. I was raised on a series of hard‐scrabble horse ranches in Northern California and many of your observations ring true, and stir up old memories…good and not so much. Hi John, and thanks. Politics interest me less and less, so I hope that means we can overlook them. I have about a metric ton of ranch focused stuff I’ve worked on and not published, but the memories for me are always grand. I loved the work, and the focus. And most importantly the land and the people on it. I would love to hear about your experiences, any time you want to share them. Thanks Tramp. Be a little bit on the turnaround. Slow going in that regard, but rest assured it’s coming. Prisons play an outsized role in my adult life, and I’m hoping to explain why. And more in the offing in that regard. Congratulations on your first book! Wishing you the very best, Craig.